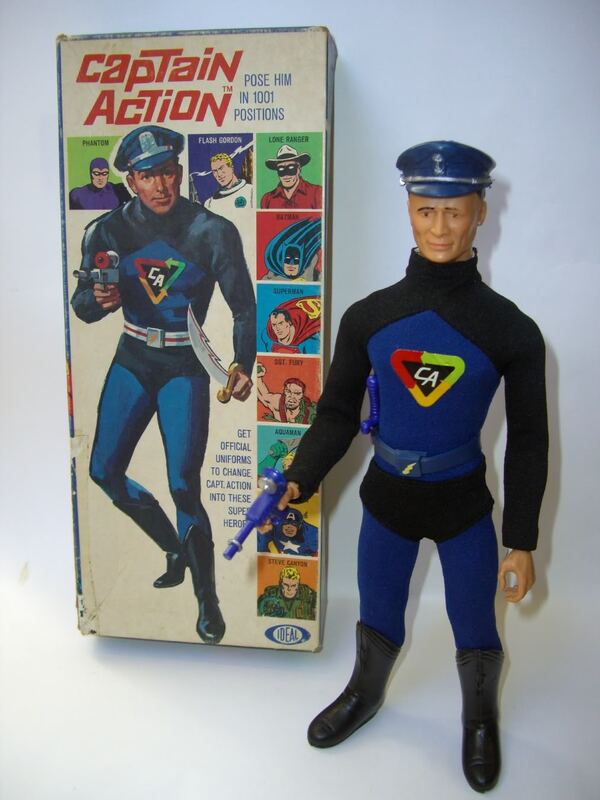 Captain Action is one of my favorite toy lines from the 60’s. The idea behind it was brilliant. Buy just one figure and have infinite adventures by dressing him up as your favorite hero. The toy was Ideal Toy Company’s answer to G.I. Joe, and for those of us with more of a taste for Sci Fi than camouflage, Captain Action was the hero of choice. 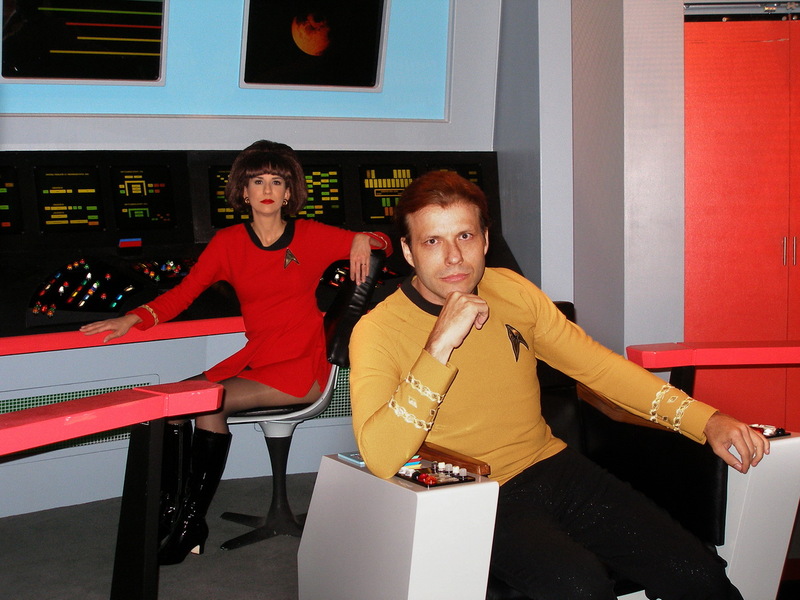 If you’ve never had the pleasure of playing with a Captain Action, he’s an odd fellow. His head is shaped a bit funny (makes it easier to get the masks on) and his expression suggests he might have stomach upset. That never bothered me though, because his head was always hidden behind a mask. The base figure came with a blue and black uniform, including a nifty hat, a sword and a ray gun. 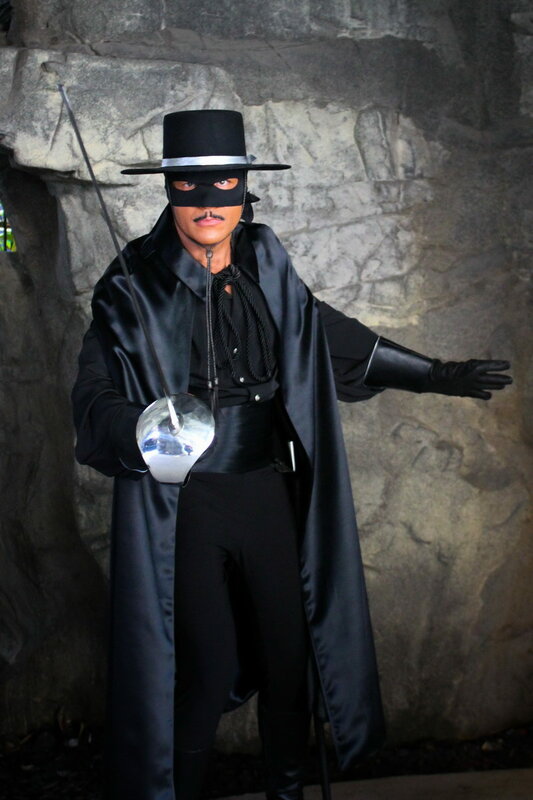 If, like me, the action in Captain Action came from the outfits, you could choose from Superman, Batman, the Lone Ranger, Tonto, The Phantom, Flash Gordon, Captain America, Sergeant Fury, Steve Canyon, Aquaman, Spider-Man, Buck Rogers (MY FAVORITE!,) and the Green Hornet. There were other toys in the line, including a villain, Doctor Evil, a sidekick, Action Boy, and some female companionship in the form of Super Queens Posin’ Dolls. 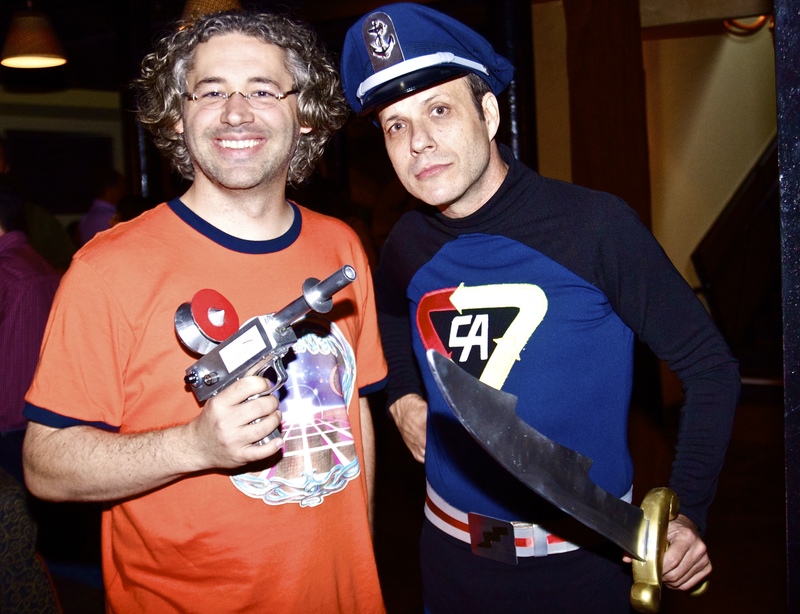 I have fond memories of Captain Action, so I was thrilled when I ran into him in a dark, dangerous subterranean basement party at San Diego Comic Con. He was a lot taller than I remembered. Meet Scott Sebring, the live action Captain Action. RICK: Scott, or should I call you Captain? Thanks for agreeing to this interview. RICK: I have to say, you are the first and only life size Captain Action I’ve ever seen. I have to believe you will be starting a trend. What drove you to put on the uniform? SCOTT: I personally never saw anyone do this character at any conventions I’ve been to before and I’ve been to quite a few. Anyway, it seems a trend for me that if it’s something I want to see and haven’t seen it, I’ll end up doing it so that it’s out there for others. I hope that made sense. RICK: How was the costume made? SCOTT: My wife Vickie who does a lot of cosplay herself did all of the sewing oriented items. We just took a Captain Action figure around with us to fabric places and tried to match not only the color but also tried to get a fabric that looked more like what they used for the figure rather than spandex. We got real lucky with some polyester stuff. We even matched up that odd green used in the chest logo in a satin as well as the other colors. I plotted out the logo on my computer and printed it up to scale and she used that as template to sew one that would give that George Reeves Superman feel. More vintage looking. I customized an airforce hat that I found at an army surplus store by making the anchor badge that goes on top as well as painting the black strap with silver leather paint. I used the same silver paint to do the belt. RICK: That is a might nice gun you have.It looks amazingly accurate to the toy. What went into the construction of it? SCOTT: I scanned the plastic toy gun and scaled it up to what I thought would be life-size and made that as my blueprint. Since the original figure was from the sixties I wanted to build the prop gun in that classic sci-fi prop department fashion like they had for Star Trek and Batman in those days. Basically, wood and whatever junk you could find. It’s mostly wood with the exception of the gun handle that came from a toy gun and the PVC pipe for a gun barrel. Oh, and I picked up some vintage electronic dials and knobs to slap on there as well where it was indicated to have some kind of knobs on the toy version. The original plastic one even had a meter gauge on one side of it. I ended up putting a meter on the side called “Beam Level” that starts at zero and goes all the way up to “OH MY!” It’s a just a bit of fun. RICK: What about the sword? SCOTT: The sword blade started as a thick piece of clear acrylic. Once again, I scanned the toy version and scaled it up, plotted it out a bit and printed a rough blueprint for that shape. I included the rounded edges so I didn’t hurt anybody, especially myself. I made the guard out of wood and the handle was cut from a big plastic baseball bat. I filled the handle with two part resin and slid the blade through the guard and into the handle. It hardened and the whole thing holds together really well. Paint ‘er up and you have a Captain Action sword. RICK: Were you a big Captain Action fan as a kid? Did you just play with the toys or did you read the comics too? Do you still have any of your toys? SCOTT: Captain Action was my first action figure ever when I was about four or five years old. I played with that thing into the ground so there is nothing left. My folks weren’t savvy on the accessory thing so I never got to suit him up as any of the other characters back then. But as a standalone, he was still pretty cool. I remember the comics being out and I probably had one or two but like everything else from those days, I have nothing to show for it now other than the passion. RICK: What was your favorite Captain Action outfit as a kid? Has your opinion changed as an adult? SCOTT: I know I wanted the Batman one especially. I think that still holds true. But I love my Lone Ranger and Green Hornet ones that I picked a few years ago when they released the Playing Mantis stuff. RICK: Did you ever play with Action Boy? I wanted one as a kid, but am kind of glad I didn’t get it in retrospect. SCOTT: No. I didn’t but I would have if given the choice. Especially to make them Batman and Robin. RICK: What do you think of the Captain Action re-releases? And the new comics? SCOTT: I’m digging the newer design of the figure as far as him not having that pained look on his face and a little more muscular build. The Marvel outfits look great and I hope they can get a DC license as well. Some folks have criticized that they should make swappable heads rather than masks and upscale him to a true twelve inch figure. But then it wouldn’t be Captain Action. I think they’re great. I haven’t tuned into the new comics really. The outfit is really different so it really isn’t jumping out at me to pick it up. RICK: If Michael Bay made a Captain Action movie, would you see it? SCOTT: Since I can safely say that I have never seen a single Michael Bay film it would be more about seeing Captain Action rather than who did it. But it would need to be fun, and he would need to be a solid hero. 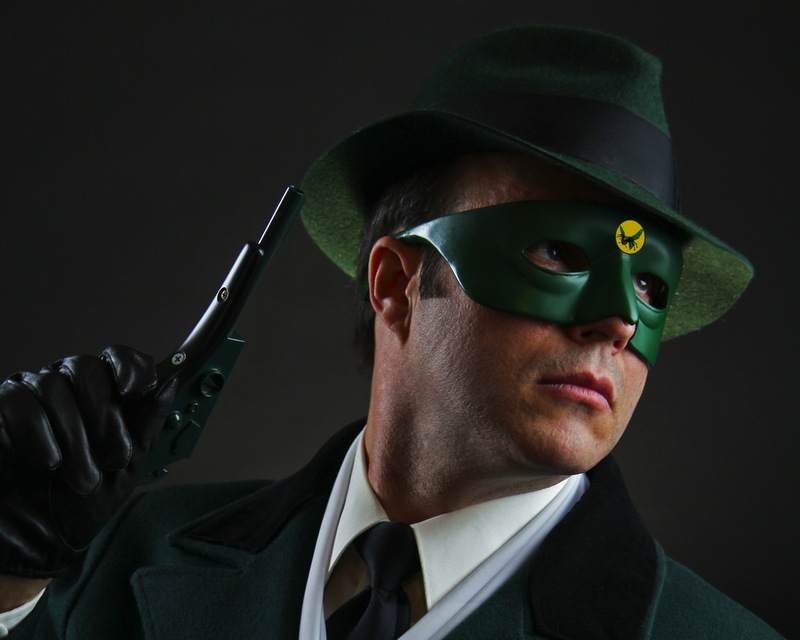 I’m personally not into this dark dysfunctional stuff like they’ve done with the Dark Knight pictures or making our heroes into total loser buffoons like they treated the Green Hornet. SCOTT: Not really toys directly. This has been my only real venture into something that was a product line before it hit other media. 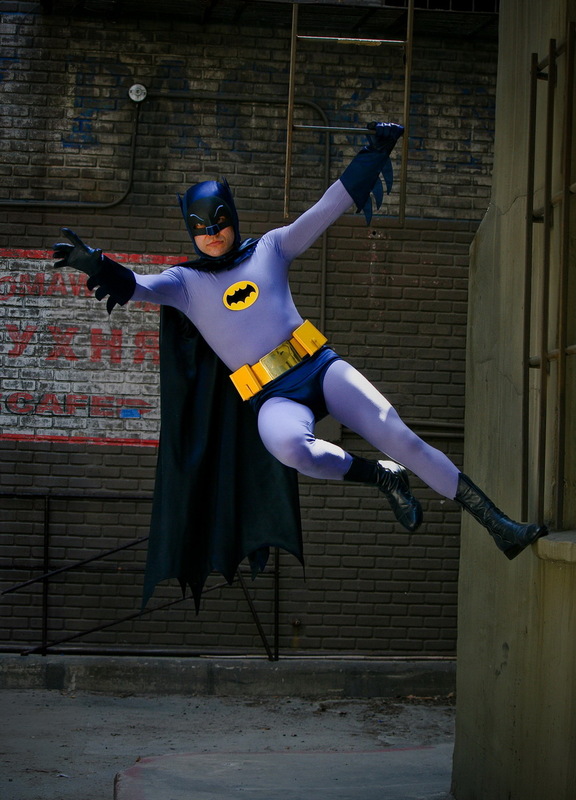 As far as other characters, I’ve been doing the classic Adam West Batman for about eight years now. That was the first real cosplay type thing and probably my most popular. It’s still my favorite. 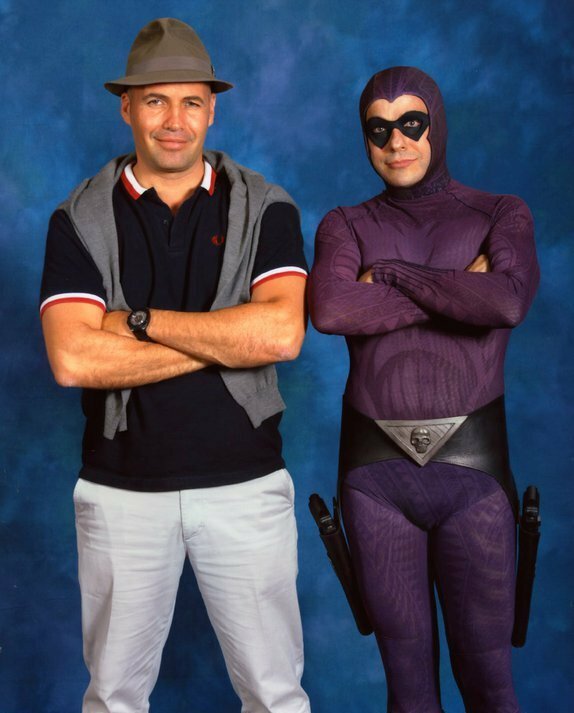 I’ve also been Captain Kirk in the original series style uniform, the Van Williams Green Hornet, the Guy Williams Zorro and the Billy Zane movie Phantom. So I guess I’m a bit like Captain Action in that regard. Always changing into those classic characters. RICK: So what do you do when you’re not dressed in black and blue and fighting Doctor Evil? SCOTT: Whatever pays the bills although none of that is costume oriented. I don’t do birthday parties and that sort of thing for hire. I’ll do charities, fund raisers or events that I find relevant and worthwhile personally but I have a policy to never do it for money. I once compromised that personal ideal quite some time ago at one point because everybody else told me I should but I quickly realized that I prefer it this way. Live and learn. But outside the costume stuff which isn’t my life although a fun part of it, I’m a multimedia artist which includes photography, graphic design, package design, video editing, sound engineering, web work, photo retouching and just about anything that falls somewhere in there. I’m even putting the final touches on my first solo album that I’m making available through iTunes and Amazon as well as other online music sellers. That’s something I’m very excited about. I guess your readers can check out my site, ScottSebring.com, if they’re interested in what the heck I’m up to. RICK: Scott, thanks again for the interview. 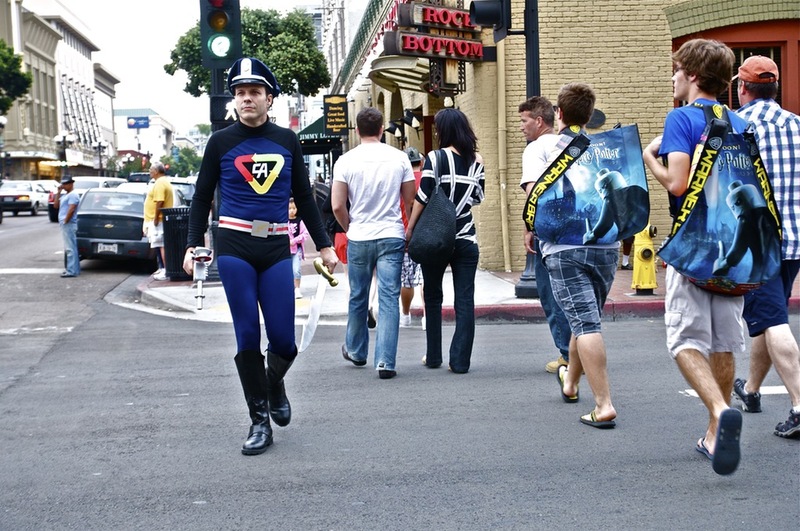 Comic Con is known for its costumes but you were definitely one of the best. I also want to thank photographer Ben Bentley for providing the photos of Scott Sebring, above. They are copyright Ben Bentley and used with permission. Need a photog for your own cosplay activities? Check out his website! You can see more of Scott’s personas below. These photos provided by Scott Sebring and used with permission. Be sure to check out his site too if you’re curious about his solo album and if you’re attending SDCC this year, you can catch him there in costume.